The Omaha Public Library continues to promote the artistic/community dialogue by bringing together Sarah Kolar and Brian Wetjen for a dual exhibition of their individual work, May 5-June 30. Kolar is a former Fellow with the Union for Contemporary Art. 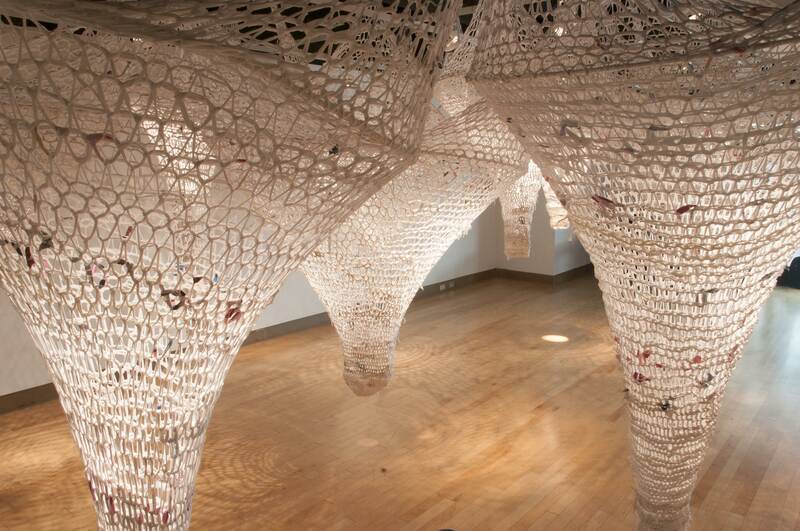 Her focused and exhaustive woven sculptures and installations are explorations into the dynamics between a consumer society and forms made from the actual consumables. Her current medium, shredded fabric from discarded t-shirts, is woven into massive non-representational and sophisticated forms, often mimicking the original process of knitting used to make the shirt. By using something as pedestrian (and stained) as a used t-shirt, she also provides evidence and raises questions about the previous owner’s life and use of the shirts. Wetjen is one of the Collector Level artists in the Omaha Creative Institute’s 2017 Community Supported Art program, and is also a web design and business development consultant. 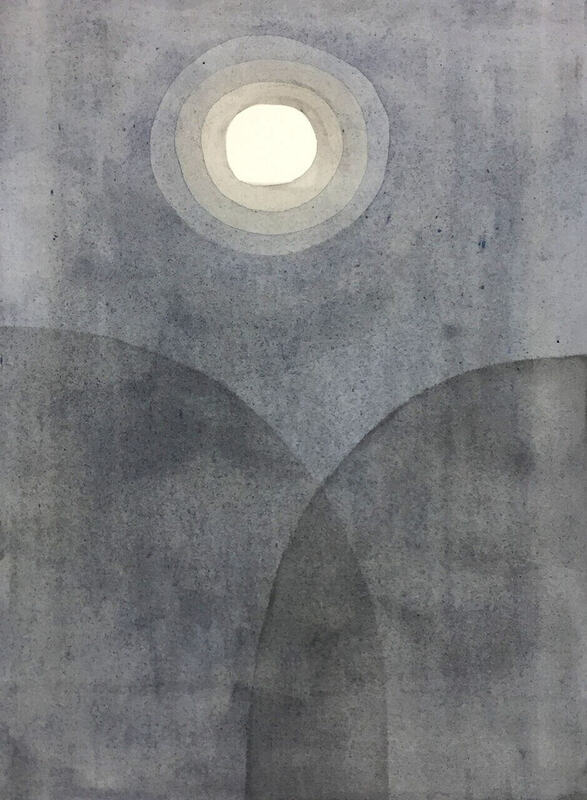 His watercolor, charcoal, and graphite images and subtle use of color are both bold, stand-alone graphic signage and renderings of ideas and dreams; blueprints for exploring the concepts in three dimensions, or through other mediums. The work becomes a non-specific trigger to elusive and precarious memories, providing a schematic for future applications.